Speaking at the Catholic-Evangelical Leadership Summit on Overcoming Poverty at Georgetown University (video below), President Obama made an astute observation about one of the causes of persistent negative impressions of America’s underprivileged class. He noted that some elements in the media are deliberately disparaging poor people as “sponges, leeches, don’t want to work, are lazy, are undeserving” and that, as a result, those false caricatures gain traction. Except that he was a bit more specific about the guilty media. 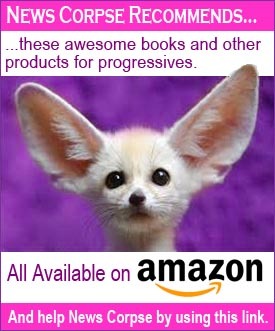 Obama could have gone much further and blasted Fox News for lying about the entire spectrum of progressive politics from trickle-down economics, to healthcare, to Climate Change, etc. But as this was a summit on poverty, the President kept a narrow focus on how Fox News stigmatizes the poor. His larger point was that by disseminating ugly stereotypes the media makes it more difficult for legislators to address real problems because their constituents have been infected with false impressions of the recipients of aid. It was a brilliant stroke to include the absurd “Obamaphone” meme that right-wingers latched unto as another fake atrocity that they could attribute to the president they are convinced is a gay Muslim from Kenya. However, Obama may have given his critics an opening to rant feverishly when he said that “We’re going to have to change how the media reports on these issues.” Glenn Beck and his ilk will interpret that as a tyrannical dictate to control the press, rather just the desire for the media to be honest, fair, and avoid demonizing a sector of society that is already suffering. One thing we can rely on is that Fox News will throw a tantrum over these comments by Obama, as they always do when he correctly calls them out. Fox is all for free speech as long as it doesn’t contain any criticism of their blatantly dishonest propaganda. Update I: Well, that didn’t take long. Neil Cavuto on Fox News is already bitching about Obama calling them out. My money is on Eric Bolling to be next. For a network that calls itself “The most powerful name in news” they sure whine a lot. Update II: Joining Cavuto so far have been chief Fox News anchor Bret Baier, Todd Starnes, James Rosen, Martha MacCallum, and Fox Business Network anchor Stuart Varney, who denied that Fox ever called welfare recipients lazy, then went on to defend the Obamaphone myth. Then there was Megyn Kelly, whose blisteringly dumb remarks alleged that Obama took “a swipe a Fox News today for showcasing low income folks who are gaming the system on his watch.” No, actually, that is not what he did. In fact he took a swipe at Fox News for slandering low income folks who are playing by the rules to provide for themselves and their families. Kelly just proved Obama’s criticism was correct as she continues to slander decent, hard-working Americans. But has Fox Spews gotten around to condemning Obama for his attacks on the poor? Fox does have a problem with linear logic, and so the only possible thing Obama must be talking about was attacking the Great and Powerful Fox Spews — and why did Obama say such nasty things about the poor? That is simply un-American, right? It almost sounds like a joke, doesn’t it? Well, of course, Fox Spews is one, but they will never actually understand it. 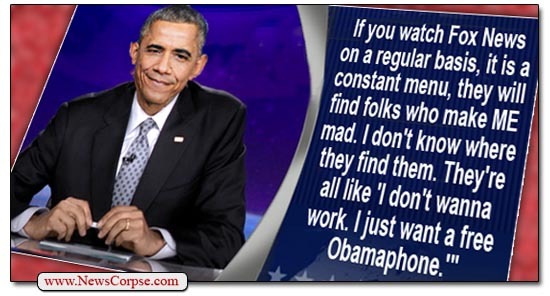 Here we go again, Obama is back in his whaah-whaah-whaah mode about Fox News. You never heard President Bush throwing a fit about Keith “Go f### your mother” Olbermann or the rest of the clown brigade at MSNBC. Less than 2 years left in this man’s term. Relief is coming. As far as I’m concerned no major American news network, MSNBC included, is particularly trustworthy but Fox is the lowest of the low. Since we’re talking about people throwing a tantrum, I have never seen a news outlet misrepresent, falsely blame, and show such disrespect towards the office of the president, or any American politician for that matter, than Fox News does with President Obama. It’s one thing to have a bias and something completely different to have a bias by exaggerating, cropping quotes, misleading editing, half truths and flat out lying. Their journalistic integrity is a joke. Their viewers believe every single red herring or scare tactic the right wing propaganda machine dishes out for weak minds that believe everything they’re told because it confirms to their prejudices. There’s absolutely nothing wrong with the constructive criticism of Barack Obama as he’s certainly not above reproach but they have a hard on for misrepresenting virtually everything he’s done and broadcasting the most baseless and purely asinine rhetoric about him. That’s because Olberman isn’t a liar, fucktard. Here we go again. Okay, prove it. Give us a link to something Olbermann lied about. Provide evidence for your comments or prove yourself the troll you are. 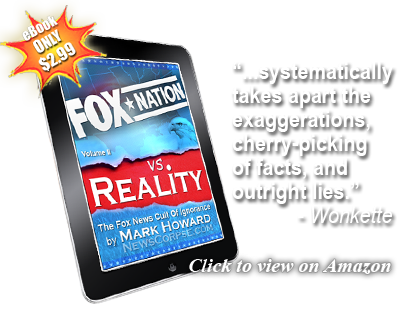 Mark has provided dozens of stories on every lie told by Fox News. And some of them don’t even involve Bill O’Reilly. You, on the other hand, take the Bill-O approach: attack, call your accusers the true liars, but don’t actually provide any evidence. And I never heard Olbermann say that or anything reminiscent of that, so why don’t you keep your FoxPod talking points on Fox Nation where they belong. Don’t pollute us with them unless you are willing to provide actual support instead of an f’u attitude. Simply answering yes he is Scott does not provide an intelligent retort! I was working out at the Y —right above the machine was, of course, FAUX news. It was right after our president made those oh so true statements and Megan was on, whining as I’ve heard she often does (sorry, I refuse to lower my high IQ by watching these morons). I don’t see how anyone, with any speck of intelligence or compassion, could believe the propaganda and hatred they (Faux and Republicans) spew !!!!! !